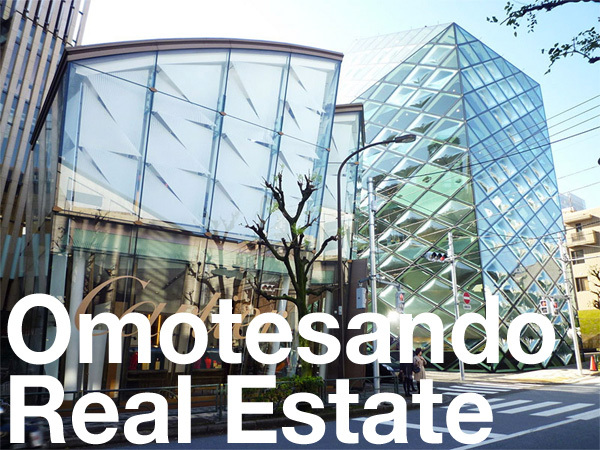 Last month, Mitsui Home completed the construction of a 5-storey wood-frame building in Ginza.This is the second 2×4 wood-framed 5-storey building to be built in Japan, and is the first in central Tokyo. 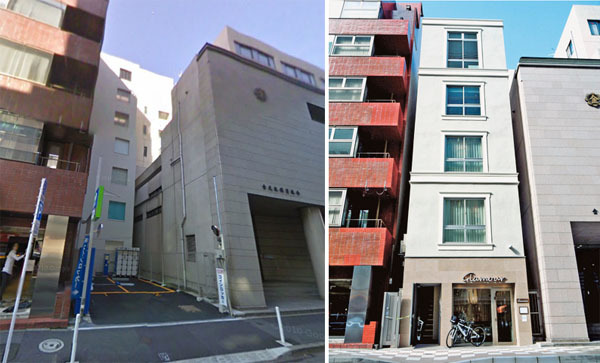 In April 2012, a 5-storey apartment building was competed in Setagaya-ku. The 18m tall building contains a cafe on the first floor, rental apartments with nursing services for aged patients on floors 2 and 3, and staff rooms on floors 4 and 5. 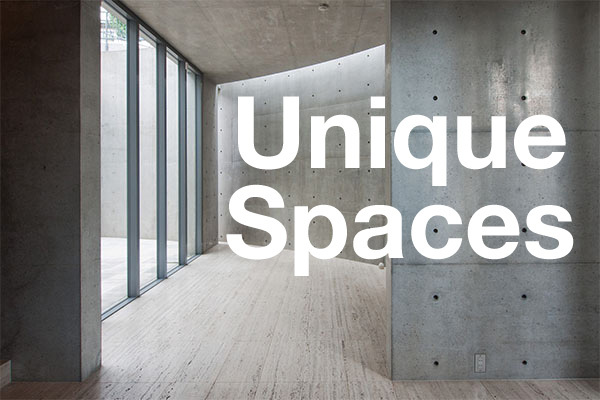 The land is only 59.69 sqm (642 sqft) in size and the total floor area of the building is 212 sqm (2281 sqft). Construction took approximately 10 months and cost 120 million Yen. Costs were about 20 ~ 30% lower than a similar concrete building. The owners had initially planned to build an 8-storey concrete building but elevators and pillars would have taken up valuable floor space. Erecting concrete walls in such a narrow space would have also been a difficult task. Due to the narrowness of the site, walls were lifted into place using jacks. 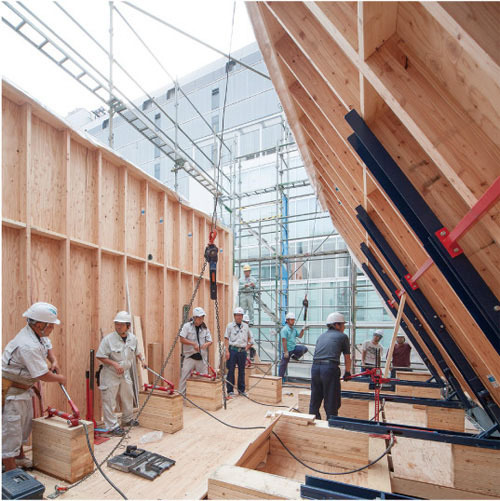 While multi-storied wood-frame buildings are common in Europe and America, they are not always a cost effective option in Japan. In 2000, the Building Standards Act was amended to allow 4-storey wood-framed buildings in urban areas, provided they were built to the same fireproof standards as concrete structures. Although this building in Ginza is 5-storeys, it met the 4-storey limit as the first floor is reinforced concrete and only the 4 floors above are wooden. It would have been possible to build higher, had they added more concrete floors, but construction costs would have exceeded those of a steel or concrete building. The 5-storey ‘Shimouma Apartment’ building in Setagaya-ku, Tokyo. The Daily Engineering and Construction News, November 29, 2013. Toyo Keizai, December 1, 2013.